Rob joins long time friend, Producer/Director Jeffrey Abelson on a journey to the Mississippi Delta to discover the father of the Blues. 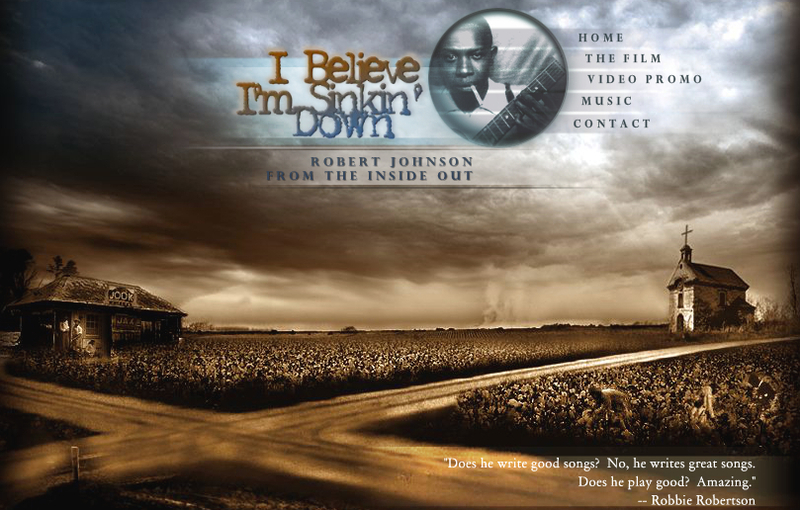 “I Believe I’m Sinkin’ Down” is a very highly stylized, dramatized feature documentary exploring the life and times of one of the most influential musicians in America. Johnson wrote and handful of songs and died at the age of 29 but left his mark on contemporary musicians like BB King, Keb Mo, Eric Clapton, Bob Dylan and Keith Richards to name just a few. Legend has it Johnson sold his soul to the devil in return for his other worldly guitar skills. Johnson is described by Keith Richards as “The Bach of the Blues” and by Eric Clapton as “the greatest folk blues guitar player who ever lived”. Abelson, a veteran of the music video industry and the ineventor of the genre of music videos used to promote feature films, back in the 80’s and 90’s, is looking at shooting this year for a 2015 release. WATCH THE PROMO and get the inside scoop on Robert Johnson. This entry was posted in General and tagged Alexa, arriflex, bb king, blues, cinematographer, clapton, digital cinema, director of photography, jeffrey abelson, richards, rob draper acs, robert johnson. Bookmark the permalink.